Whether you garden in your backyard or patio, or just enjoy fresh, local food, One Seed is for you. 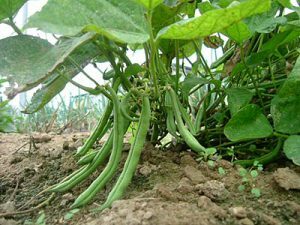 Green beans grow in a field. Harvesting, recipe sharing and enjoying. One Seed highlights a single edible plant each growing season, chosen by a community vote. Early adopters voted to start the program with… GREEN BEANS! Program participants will receive a supply of seeds to plant, along with growing tips, recipes, a discussion forum (hint: you’re in it now!) and more. Joining our One Seed community is easy. First, sign up and attend one or more of our “edible gardening” classes (see the list below) to learn growing techniques for our area. Then, collect your seeds at class or a Master Gardener Plant Clinic. Sow and grow. Harvest and enjoy. Along the way, make sure to stay up to date by regularly checking our “One Seed” blog posts (click the link and bookmark the site, or search for the “oneseed” tag in the blog). And don’t forget to use the comments section there to share your stories and ideas, and interact with others in the One Seed program. We will vote again later this fall to select the featured variety for spring. Check back at this blog for updates on voting as they become available. Learn more and register for classes at sarasota.ifas.ufl.edu. For more information about One Seed, email sarasota@ifas.ufl.edu or call 941-861-5000.